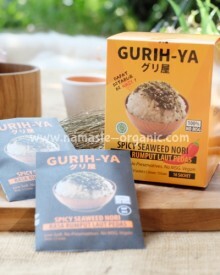 We produce ready to eat healthy food seasoning for you that you can sprinkle right away on your cook food. Our ingredients for our seasonings are 100% naturual, so you can be assured that you are not consuming unhealthy chemicals and added preservatives. We believe in that eating clean and healthy can be delicious and convenient. 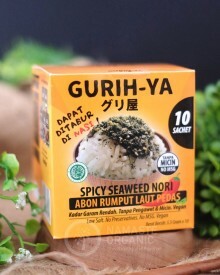 Gurih-ya can help you to save time and enhance the taste of your food. Even if you can't cook, Gurih-ya can help you to make your food delicious! The only thing that is limiting what you make with our seasoning is your imagination.